It is an article of faith these days that any company worth its public relations budget must proclaim loudly and frequently its good green intentions. So it was rather refreshing to hear one of Richard Branson’s top lieutenants – Will Whitehorn, chief of Virgin Galactic – cast his company’s enviro-friendly initiatives as strictly business. The occasion for Whitehorn’s remarks was one of those “green salons” that have become popular in San Francisco of late. You know, gather a group of so-called thought-leaders – executives, environmentalists, venture capitalists, journalists – in a chi-chi restaurant and let the ideas and sauvignon blanc flow. Easy enough to skewer, particularly when the well-compensated are dining on ahi tuna skewers, but you never know where the conversation will go, and in this case it strayed interestingly off-topic. The subject du jour was a white paper on corporate greenwashing from Bite Communications, the public relations firm that organized the recent lunch. Among those on hand were Whitehorn and execs from Chinese solar panel maker Suntech (STP), fuel-cell maker Bloom Energy, utility PG&E (PCG), and VantagePoint Venture Partners, investor in electric car startup Tesla Motors and solar power plant builder BrightSource Energy. Whitehorn held center court, tracing Virgin’s trip down the green path a decade ago when the company forecast a dramatic rise in oil prices and tried to gauge the impact on its airline and new railway business. As a result, he says, Virgin spent big bucks on energy-efficient locomotives to hedge against future fuel cost spikes. It’s a meme increasingly being advanced by some environmentalists, most notably by the black sheep of the movement, Ted Nordhaus and Michael Shellenberger, whose 2004 essay, “The Death of Environmentalism” riled the green elite. The Berkeley duo’s new book, Break Through: From the Death of Environmentalism to the Politics of Possibility, calls for reframing global warming from a doom-and-gloom scenario to an opportunity for unbridled economic prosperity by investing in green technologies. Their central argument: only when people and societies achieve a certain level of material wellbeing do they have the luxury of supporting environmental preservation. In other words, greed is green. 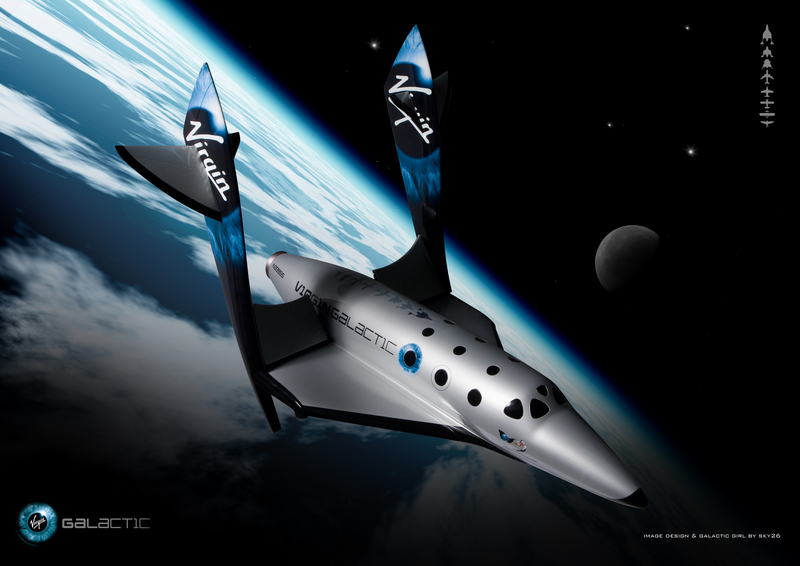 Still, Kristina Skierka, director of Bite’s clean-tech practice, wanted to know just how green Virgin Galactic can be, given its business model of ferrying the rich into outer space for a couple of hundred grand a pop. “If we use biofuels we will get the emissions down to near zero,” Whitehorn claims. “This is about a new type of launch system; the carbon impacts will be negligible. Virgin’s next frontier is the deep blue sea. According to Whitehorn, the company recently created a skunk works to develop a “radical” new submarine technology for a startup to be called, what else, Virgin Oceanic. Nothing really new here, is there? Green is green. Green is the new black. Greed is green. Time to move on to something else, IMHO.